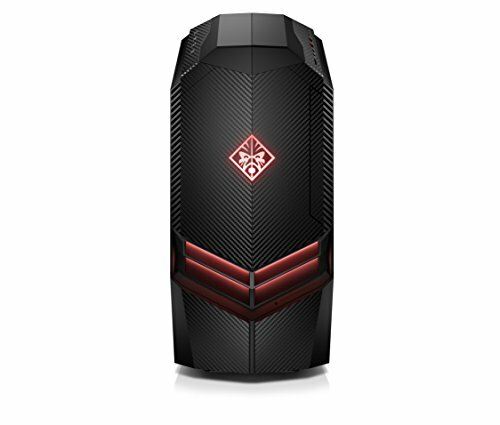 The OMEN Desktop is geared with a cutting-edge design, the industry's latest hardware, and easy upgradability to crush the latest AAA titles and give you the top-tier performance competition demands. Processor: AMD Ryzen(TM) 5 1400 Processor, Quad-Core, 3.20GHz; The revolutionary architecture easily handles AAA games, no matter how demanding. Video graphics: NVIDIA GeForce GTX 1060 (3 GB GDDR5 dedicated); Get all the power you need with a graphics card loaded with innovative new gaming technologies and groundbreaking NVIDIA Pascal architecture. Ports: Headphone/Microphone Combo, Microphone jack, 2 USB 3.0 (top), 2 USB 3.0 Type-C(TM) (top), 4 USB 3.0 (rear), 2 USB 2.0 (rear), DVI, HDMI, 3 DisplayPort, 10/100/1000 Base-T Network, and an HP 3-in-1 Media Card Reader help you stay connected.